Most people think of container gardening as that thing you do when you live in a small place with limited outdoor possibilities. Let us reassure you that it’s for everyone, everywhere. Check out these great ways to embrace container gardening to beautify all of your outdoor spaces be they small or large! Grasses and filler plants are perfect for adding greenery in just the right spaces without having to have the upkeep and maintenance of traditional hedges. You’re allowed an incredible amount of versatility that will allow you to regularly change up your look whenever you want. If you love changing your look with the seasons you can add in some annuals or if you want to kick back relax you might want to go with some perennials. There’s something absolutely fantastic about pairing beautiful delicate blooms with the hardness of metal. Grab that old metal wash bucket and get to gardening! Flowers are perfect for containers. They’re a fantastic vessel for annuals and you really can’t go wrong. Above all, planting flowers in containers are one of the best ways to put the perfect pop of color in spaces that don’t otherwise allow for planting. Succulents make for perfect container plants. If you forget to water them for a bit, they won’t mind. If you get hit with a massive rainstorm they’ll be fine. It’s hard to do away with a succulent. There’s so many amazing varieties and many multiply rather quickly so you can start with a few and within a few years have a container full! Many you can actually cut and propagate into other containers. Succulent container gardens are perfect for people on the go that may not be able to dedicate themselves to routine watering and maintenance but really want to bring some beauty to their outdoor spaces. Did you know that you can grow several vegetables and lettuces in containers? 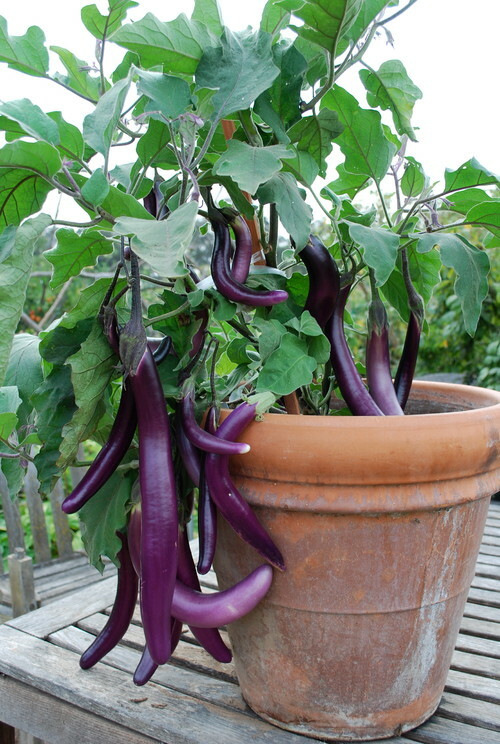 Tomatoes, peppers, eggplants, and all sorts of fruits and vegetables will thrive in containers. Make sure that you’re putting your mini gardens in locations where they’ll get proper light. Southern and Western facing locations should work fine. Make sure your edibles have proper drainage and good soil. Herbs love containers! 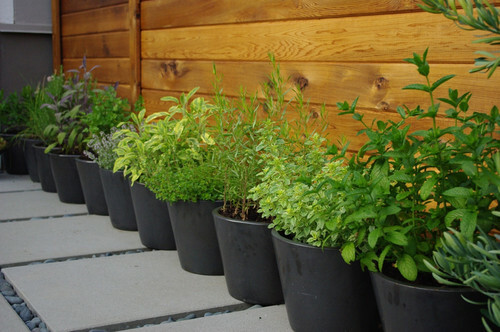 You can’t go wrong with a container herb garden. Plant multiples in big containers or individuals ones in small pots. There’s no limits to how to incorporate these gems into your outdoor spaces! There’s just no end to how inventive you can get with container gardens. 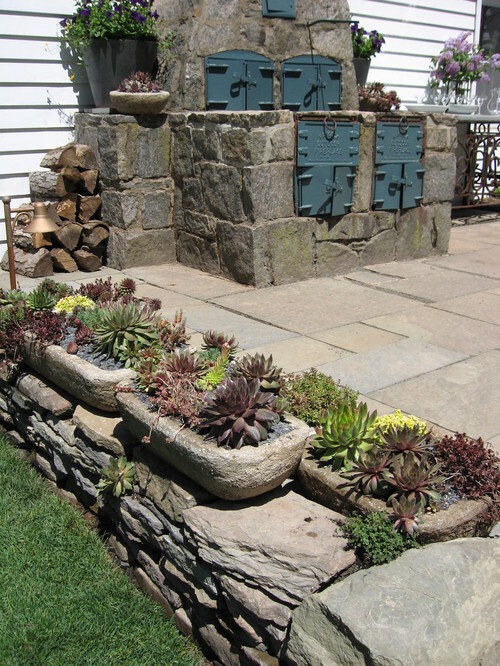 Check out this absolutely amazing example of container gardening without limits! 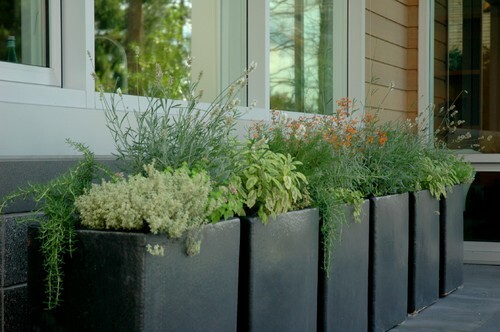 Are you a fan of container gardening? 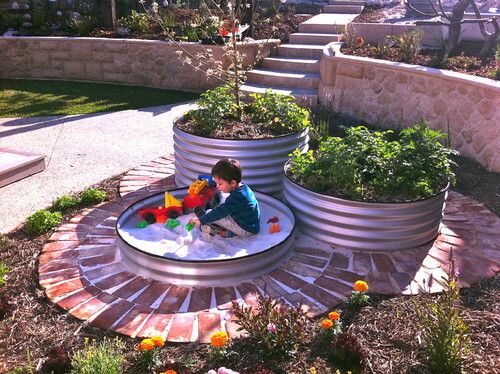 How have you worked it into your outdoor spaces? 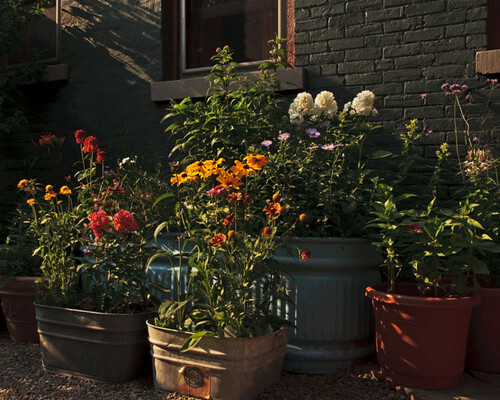 Post your pics on our Facebook page and tell us about your experiences with container gardening in the comments below!